CNTA provides the resources listed below in order to make education on nuclear technology more accessible and adaptable to varying audiences. 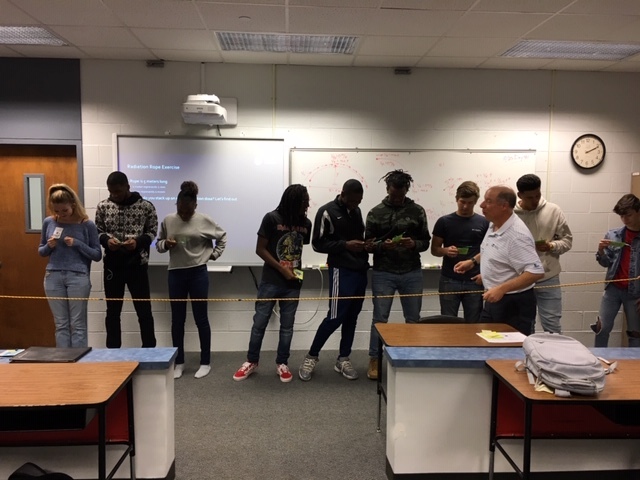 CNTA and the local section of the American Nuclear Society (ANS-SR) jointly conduct a weeklong “blitz” into area high schools that is held in conjunction with Nuclear Science Week. Each year more than 1200 students are impacted! 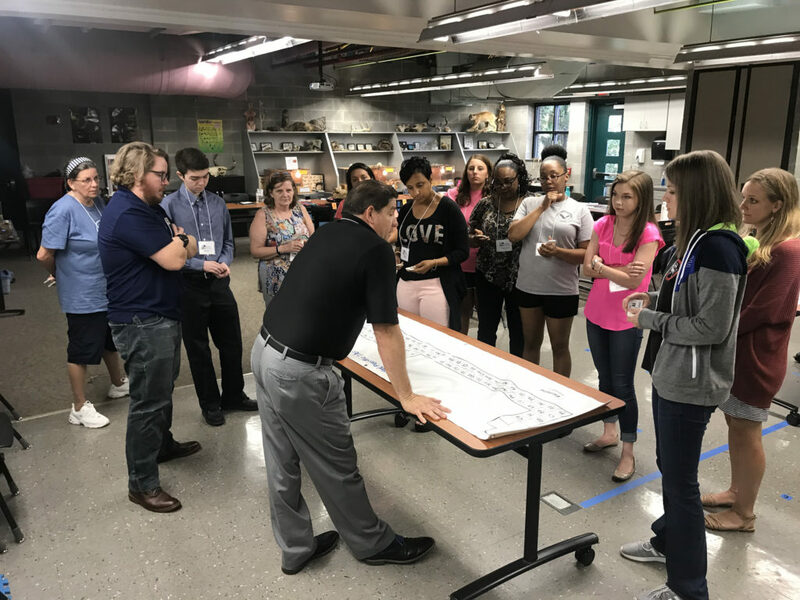 The classroom lesson includes an overview of nuclear fundamentals, applications and career opportunities partnered with hands-on demonstrations. Need a subject matter expert to help in your classroom? 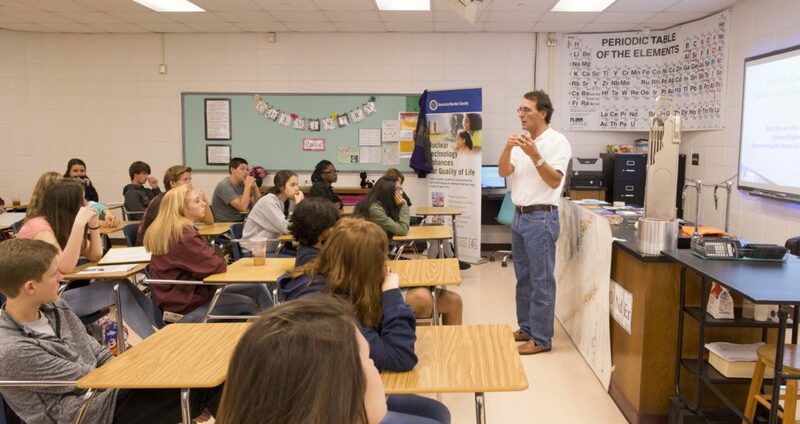 CNTA has speakers available that can come to your classroom to discuss atomic and nuclear fundamentals, nuclear energy, nuclear technologies and applications, careers in nuclear, and a wide range of other topics. We also conduct hands-on demonstrations and activities. If you are interested in having members from CNTA come to your classroom to teach, please contact the office at cnta@bellsouth.net. Citizens for Nuclear Technology Awareness is a not-for-profit, educational organization dedicated to providing factual, objective information on nuclear subjects for the public, teachers, students, public officials, and at public hearings. We do this to improve public knowledge of the real benefits and comparative risks of nuclear technologies, including nuclear production of electricity, nuclear medicine, food irradiation, nuclear waste management, and the health effects of low levels of radiation. 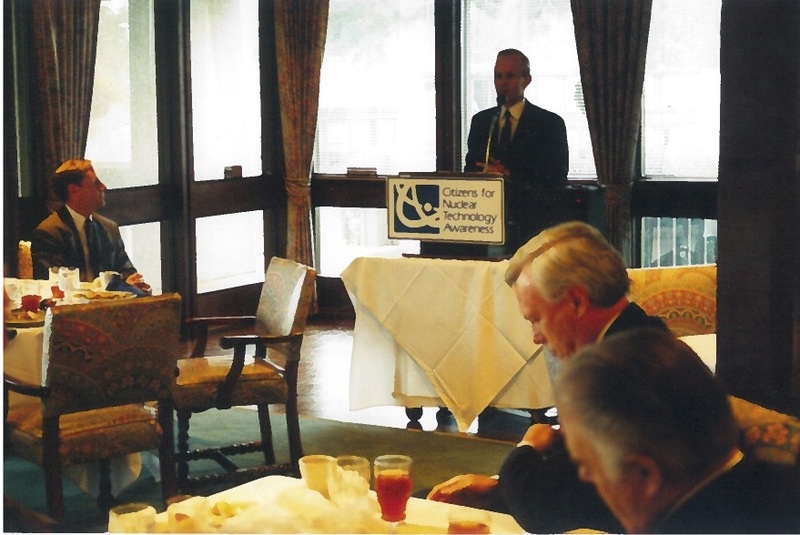 If you would like to request a speaker for your events, please contact Jim Marra; cnta@bellsouth.net. CNTA conducted this intensive three day workshop for several years. Workshop discussions included a variety of nuclear related topics, including atomic fundamentals, applications of nuclear technologies and career opportunities. The workshop also included site visits to SRS, Plant Vogtle and Aiken Technical College. The presentations and other resources are available upon request.